Star Fox Guard is the complimentary tower defense title that comes bundled with Star Fox Zero. Though Star Fox Guard doesn’t have the depth to stand on its own, its innovative execution does make it a worthy companion piece. 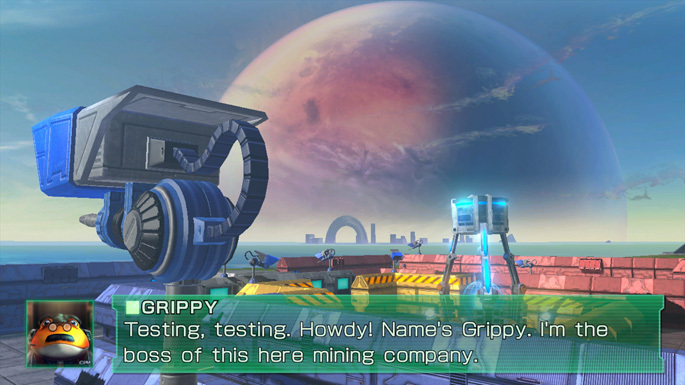 In Star Fox Guard, players take control of a new employee at mining company owned by Slippy’s uncle Grippy (who are the primary characters you’ll encounter in the game, though the rest of the Star Fox crew do make cameo appearances). As it happens, Grippy’s mining facilities have been getting repeatedly attacked by robots, and it’s your job as the new recruit to help control the facilities’ defense systems and prevent the robots from ruining Grippy’s business. You do so by keeping focus on the facilities’ camera systems, and firing at the robots with lasers. Where the game turns this simple tower defense setup into something more unique is how it uses the Gamepad to create a more unique take on the genre. 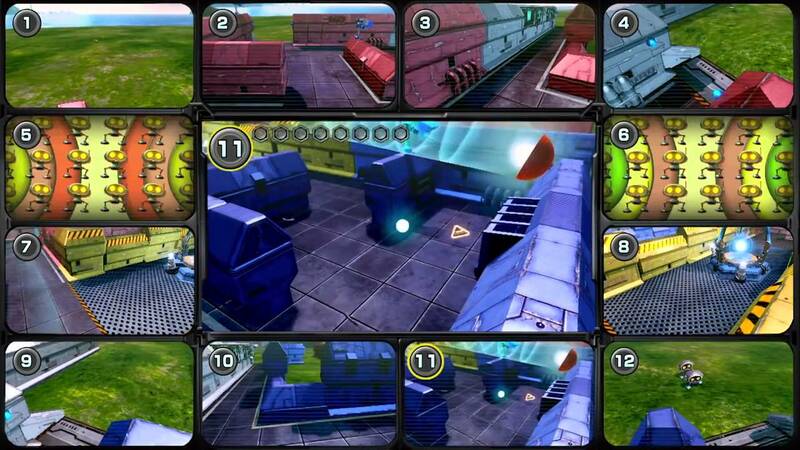 The TV screen presents the action through thirteen different screens, with twelve of them presenting what’s currently being captured by each camera, and the central screen being whichever camera the player is currently focused on. Players switch which cameras they’re using by tapping on buttons on the Wii U’s touchscreen, which shows an overall map of the current stage. The idea of switching between cameras has been compared to Five Nights at Freddy’s, but Star Fox Guard seems to have more gameplay and a tone that’s less desperate for attention. It may all sound a bit simple, and in essence it is, but the game can pack on quite some challenge (and even a little stress) once the robots begin showcasing their variety and begin showing up in bigger waves. There are two different categories of robot enemies: Combat and chaos. The combat-based robots are the ones who are trying to get to the core of the facility to destroy it, and destroying a set number of them will complete the level. The chaos-based robots will mainly serve to get in the way of your defenses, as they try to destroy your lasers and disable your cameras in a variety of ways. Each stage has a different setup, as well as multiple mandatory missions and the more fun and challenging optional ones, which may throw a unique twist into the mix (like limited ammo, or a time limit). After completing each mission, a friendly robot built by Slippy, called the Re:Bot, will collect the metal from every robot you destroyed, which will add to a cumulative score that will ultimately unlock the aforementioned optional missions, as well as upgrades and power-ups for the cameras and lasers. Players can even see how their scores rank against other players online. That’s all there is to it, really. Again, it’s not exactly a hefty game, but it is a great and fitting companion piece to Star Fox Zero. The visuals somewhat charming, though a bit underwhelming, and the same could be said of the musical score. But the core gameplay remains fun and surprisingly addictive, with the only real complaint with it being that the buttons on the touchscreen are a bit too small, meaning that you may often lose precious seconds as you double check to make sure you’re hitting the buttons on the touchscreen. So Star Fox Guard may not exactly be a fantastic addition to the Nintendo family, but if Nintendo decides to make similarly smaller (and presumably less-expensive) games to bundle with their bigger adventures, I’m certainly not going to argue with it. Many great movies are accompanied by delightful and often charming short films that add to the appeal of the feature. If Nintendo wants to produce more big game/little game combos that create a similar dynamic, as they’ve done here, then count me on board. Next Next post: Zelda Wii U. All Alone at E3.